The car must be returned with the same level of fuel as at the collection as mentioned on the Rental Agreement. No waiting time at pick up of your car rental. If you are new to the area, our staff will be glad to provide directions or give you maps. Our car rental agents are efficient and will ensure you don't wait too long. Cars are clean and in good conditions. Standard Protection is a standard insurance which covers damages to your vehicle. Yes, it's true, the vehicle which is driven is provided with insurance, that being said when it comes to your coverage there is always an excess and exclusions. If you opt for Standard Protection items such as tires, windshield, keys, transport/platform, undercarriage, towing costs, the car's interior, theft, as well as other damages that are made due to carelessness or negligence towards the rented vehicle are not covered. The excess amount of CDW is between 400 eur up to 1000 eur. If you opt for CDW, the deposit (franchise) for damages will be invoiced to the client if they did not complete a written statement at our headquarters and does not turn in documents in regards to the incident or accident. GPS Navigation 2.00€ each per day Get around easily with GPS Navigation in your car rental from Promotor Rent a Car. We make it easy to get the exact add-on for your vehicle. Stick Internet 10.00€ per rental Rent a Mobile Internet WiFi and get internet access everywhere in Romania. Get internet during your trips. Rent the Best Pocket WiFi for Romania. Mobile Phone 10.00€ per rental Convenient, low cost Romanian mobile / cell phone rental. The easiest way to rent a romanian cell phone! The price includes only the cell phone and the phone number. Laptop 35.00€ per rental If your job requires that you travel frequently and you do not want to carry around your computer you can rent a laptop from Promotor Rent a Car. Stay connected with your customers 24/7. Dacia Lodgy for rent in Bucharest at low rates from Promotor Rent a Car Bucharest. Dacia Lodgy with 7 seats is the ideal minivan for every family in Romania, and was designed to be! Those who want a robust 7 seater minivan in Bucharest that can take the entire family from point A to point B will see it as an almost-unbeatable value. The Lodgy looks a bit boxy and maybe giving it that look makes it seem massive in size. The Dacia Lodgy we offer foe rent is a 7-seater and it gets two captain seats in the second row and a bench on the third. So, ideally there is a lot of room but that depends on your height too. If everything you are looking for in a car is a lot of interior space to fit all your family and friends, then do not bother searching elsewhere. This boxy affordable 7-seater is roomier than a bus and it also comes with a go-anywhere crossover-ish styling. The Lodgy 7-seater is the embodiment of Dacia's philosophy, the best offering in the segment in terms of value for money. The loading capacity evidently matches the whole space-is-all that-matters concept behind Lodgy. The boot volume with all seats up is a decent 207 dm3, while folding the two rear ones boosts the cargo area to 634d m3. Do you need any more? With the Lodgy, Dacia has brought to the table what the brand knows to do best. It is the most spacious MPV you can find in this segment, far cheaper that its rivals' offerings, inexpensive to run as well, and with a trendy body trim. Now available for rent in Bucharest from Promotor Rent a Car. We recommend that you book your car in Bucharest in advance. During the high season, cars may become sold out or prices are going to rise! Promotor Rent a Car Bucharest rents Dacia Lodgy cars at small prices, that satisfy even the most exigent customers. Rent now Dacia Lodgy from Promotor Rent a Car Bucharest, at the smallest price in the town. Also, Promotor Rent a Car Bucharest offers their clients the transfer service with a driver, with the car chosen by the client. Promotor Rent a Car gives you the possibility to rent a Dacia Lodgy car with a driver in Bucharest! You lost you driver ”s licence and you need a driver? We have the solution ! Get rid of the traffic stress and rent a Dacia Lodgy car with a driver. We offer you standard cars of 5 seats, 5 stars limousines for the important events in your life, or buses for you and your friends. Promotor Rent a Car Bucharest offers the car transfer service between towns, ideal for those who want to travel in a relaxing and fast way. Our long term rental Dacia Lodgy cars offer gives a series of immediate benefits, and also throughout the whole rental period. The cost of renting is deductible 100% and does not pay off in time, like it does it the case of standard financial leasing. 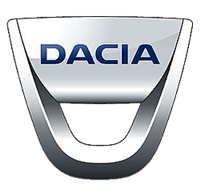 For rental periods of minimum 2 years, we can offer you new Dacia Lodgy cars, with 0 km, through Operational Leasing where you benefit of a unique, fix and small monthly cost, throughout the whole period of the contract and all the taxes ( road tax, the annual tax of the car), the insurances (the green card, Casco insurance), plus a full services package, which includes: replacement vehicules, maintenance, repairings, tires administration, road assistance, periodic technical inspection and revisions, all included in the monthly cost.